The successful combination of IT resources and well-developed industrial areas in Plovdiv attracts more investors from the automotive sector. Existing road and utility infrastructure in Thrace economic zone separating the land and prices on industrial lands, and enough skilled labor are factors chosen by investors. In addition, companies in Plovdiv receive a complete service from the local authorities and assistance in passing through all procedures for entry. Businesses rely on open partnerships with universities and specialized institutions that are actively working to create educational programs according to the needs of the sector. There have been already operating successfully a number of suppliers of electrical equipment, a wide range of components necessary for the automotive industry, technical materials and other industries related to automobiles. Among them are world`s leaders such as Magna Powertrain, ABB, William Hughes, Mecalit, Accumalux Group, Naish Felts, Techno Aktas, and others. This year to the group of investors will be join an US manufacturer of sensors Sensata, which is currently building capacity for 1500 working seats. In Plovdiv, industries with high added value actively develop its production. Focus in the work of the municipality is to promote innovation, IT technologies and BPO. It is expected in the coming years to attract more companies involved in the development and deployment of applications and software solutions necessary for the needs of the automotive industry. Plovdiv offers enough IT staff and the comparative values ​​of office rents, local taxes and workforce are definitely in favor of the city under the hills. 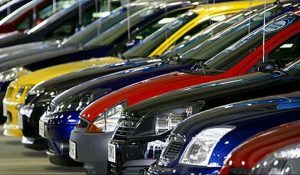 The expansion of this type of investment in Plovdiv will not only contribute to the development of the region, but will also help Bulgaria to become a hot spot for investment in the automotive sector.